I've never been that interested in beauty or make-up before but in recent months all that has changed. I suddenly found myself watching Youtube beauty tutorials and downloading the Makeup Alley app to check reviews of products on the go, and instead of spending all my money on clothes I've been spending it on face creams and eye-shadows. 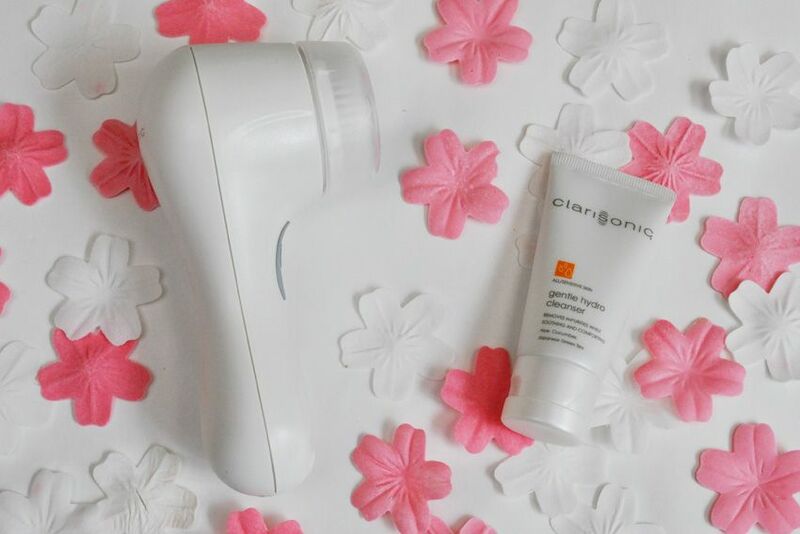 Something that kept popping up on the beauty channels and blogs I've been following was the Clarisonic Mia Sonic facial cleansing brush, said to be a miracle for all skin types, from oily and acne prone to dry and sensitive. 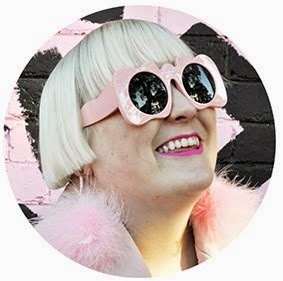 My skin has been going through a bit of a phase since moving back to Melbourne, dry in parts and pimply in others, so I've been madly trying to find a solution. 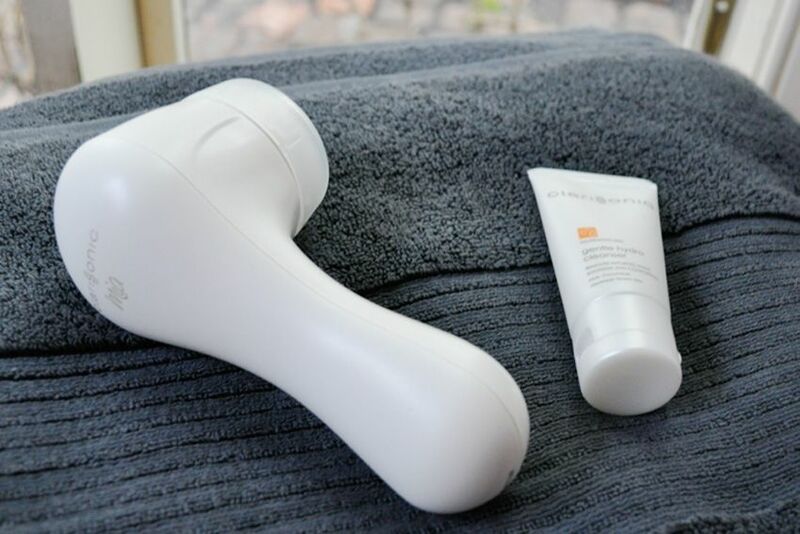 That's why when RY - Recreate Yourself contacted me about the idea of doing a blog give away I immediately suggested the Clarisonic, so I could try it out too. Our new place has the loveliest bathroom with an antique claw foot bath and views onto our private courtyard, it feels so luxurious to soak in the tub, like you're in a grand old hotel. After living in tiny apartments for the last few years with no bath tubs I'm getting as much use out of it as I can. I've only been using it a week and have noticed a remarkable difference in the tone of my skin, its softer and the dry patches are almost gone. A lot of reviews mention that the first month or two your skin can go though a purge phase where your skin has more blemishes but that once you break through that your skin will have never looked better. I haven't had any extra break outs using it (yet) so for me that hasn't been the case, I've felt like it has worked from the start. 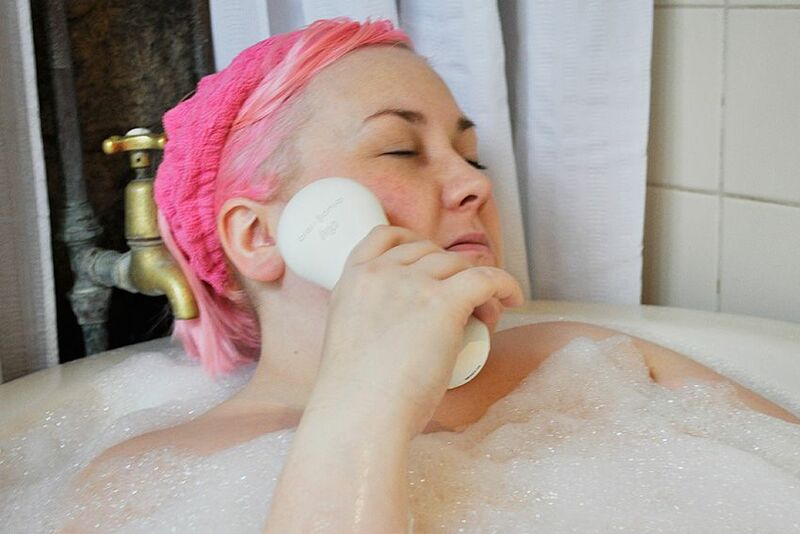 The good thing is the Clarisonic is waterproof so it can be used in the bath or shower and you're only meant to use it for 60 seconds so it doesn't add any time to your cleansing routine. It has helpful beeps that let you know how long you have to use it and when your time is up. The Clarisonic helps reduce oily areas, dry patches and blemishes and noticeably reduces the size of your pores and after a week of use I believe the hype. The prize Thanks to RY - Recreate Yourself you have the chance to win a Clarisonic Mia Sonic Skin Cleansing System valued at $139. To enter Like Ry on facebook and simply comment on this post with your all time favourite beauty tip. Don't forget to leave your email, twitter or blog address so I can get in touch with you if you win. Competition is open to Australian readers only. Competition closes Monday 17th June 2013 at 5pm AEST. Winner will be announced that evening via twitter and contacted via email. To use a mascara brush (you can buy extra ones from the pharmacy) to brush and shape your eyebrows rather than with the brush that comes on the end of eyebrow pencils - it does wonders! So much better! Always mist your face with a toner after powdering your face, so you don't look like a cake face! Cold pressed coconut oil as a cheap, intensive overnight moisturiser when my skin is feeling a little dry. Evens everything out and doesn't clog my pores! Toothpaste on blemishes! Cheap & smells nice as much as it looks and sounds weird. Drink lots of water. It really does make a difference! bio oil around my eyes at night to prevent dryness and crows feet, I'm not sure how well it works but I've been doing it for years and still don't have any! Always _ALWAYS_ have a tub of vaseline lying around. You can spend hundred$ on good moisturisers, lip balms, after shave treatments, hand & foot creams, etc but vaseline is good for any & all of that. I HAVE SOMETHING SIMILAR THAT IN THE END i ONLY USED A FEW TIMES. gLAD TO SEE YOU IN THE BATH, SUCH FUN PHOTOS. OOOO I've been curious about these. My tip is, when you have only that annoying little bit of foundation stuck at the bottom of the bottle that you just can't reach, add some of your moisturiser to the bottle. Now you have some bonus tinted moisturiser AND the bottle will be cleaner for recycling at the end. YAY RECYCLING! OOOO I've been curious about these. When you only have that annoying little bit of foundation stuck at the bottom of the bottle that you just CANT REACH.....add some moisturiser to the bottle. Now you have some handy tinted moisturiser AND the bottle will be left cleaner at the end ready for recycling. YAY RECYCLING! Keep your moisturizers in the fridge. They'll last longer and feel amazing on your skin during summer. I learnt that exfoliating too often does more harm than good. I have gone from once a day to once a week and will never go back! My favourite tip? Get familiar with your body by experimenting and finding out what products work for you. Have fun with beauty! Might be a bit boring, but my favourite beauty tip is drinking water! Always calms down my skin. - 2 teaspoons of olive oil or coconut oil. Mix it together and rub gently on your lips until your lips feel smooth. Then rinse well with lukewarm water. You will notice an immediate difference! My best beauty tip is get the heart rate going! Nothing like run, swim or a shag to get your glow on! Use pure vitamin E oil on dry/red patches and healing pimples or whiteheads... they'll be healed overnight! Either buy it in a small tube or buy vitamin E capsules and twist them open (a lot cheaper). And rosehip oil is amazing for evening out skin tone! I like dying my hair ridiculous colours, and have very thick, dark brows. I don't like to dye my brows too, because I like the look of the contrast. Plus, my brows are all ive got going for me, I can't mess with them! I fill in my brows with Benefit powder and wax, then put a fine layer of an eyeshadow that matches my hair on over the top! They dont go straight up a different colour but are tinted. At the moment I have a purple eggplant eyeshadow lightly in my brows- interesting way to make green eyes pop too. Not for the faint hearted, though. I would love to win a clarisonic! Have liked on facebook. Eat plenty of fruit and vegetables, drink plenty of fluids for a clear complexion. Favourite beauty tip - less is always more! Definitely loads of water and a mask once a week - something simple like honey does the trick! My neauty tip is In summer when my feet get all cracked up from wearing sandals, just before bed I slather on some moisturiser and then some socks, and when I wake up in the morning my feet are all smooth again, sometimes if Ive left it too long it may take a few nights to smooth them out! Eat well, hydrate and moisturise. The only tip I have is sleep. That and more sleep! Only now that I have less sleep than ever (thank you to my 2 year old son!) do I understand just what a difference regular good nights sleep makes! 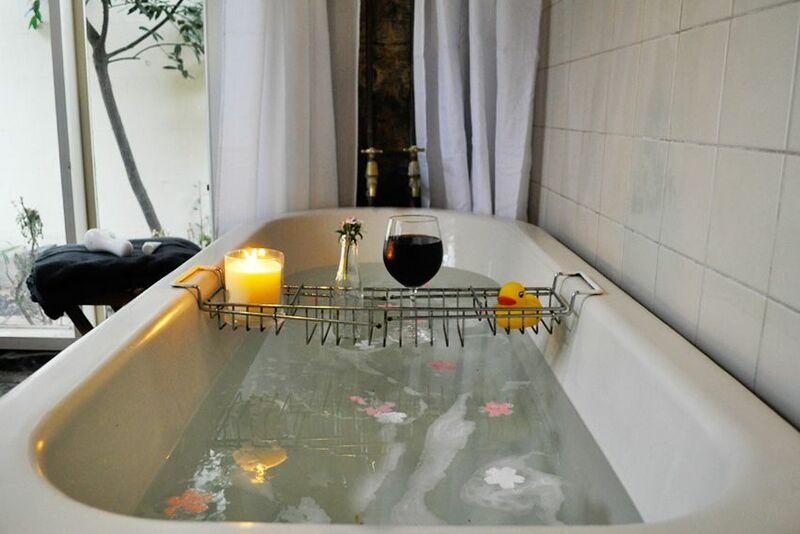 I thought the pictures of your bathroom were from a magazine before the one of you in it - gorgeous! Manuka honey face mask does wonders for acne prone skin. And it smells really nice too.